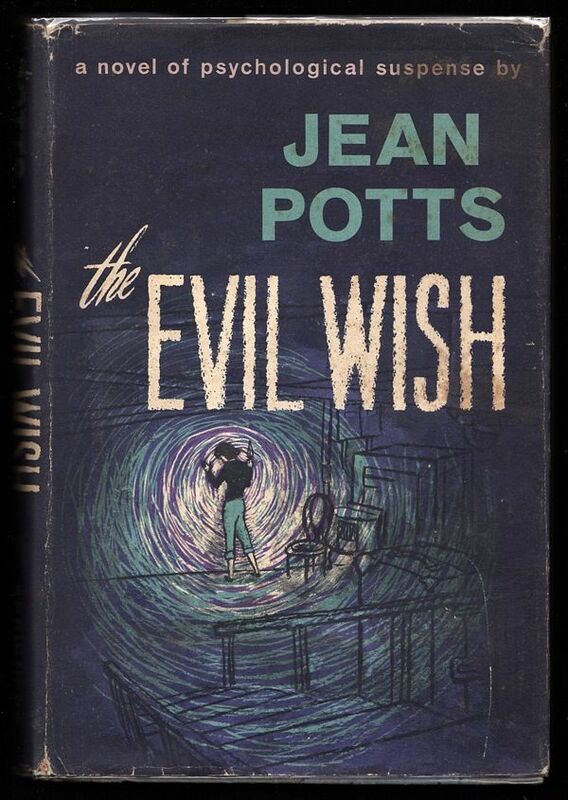 When I opened the envelope and saw this book, my first thought was "who the hell is Jean Potts?" while my second thought was "Cool! Another woman writer I've never heard of!" Rather than relegate it to the this-can-wait-a-while stack, I threw it into the suitcase to take with me on my second trip west last week. 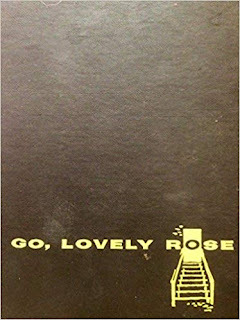 "several short stories for Ellery Queen's Mystery Magazine, Alfred Hitchcock's Magazine and Women's Day to name a few." But who she is as a writer is much more interesting, and it didn't take me long to discover what makes these books work so very well for me personally. 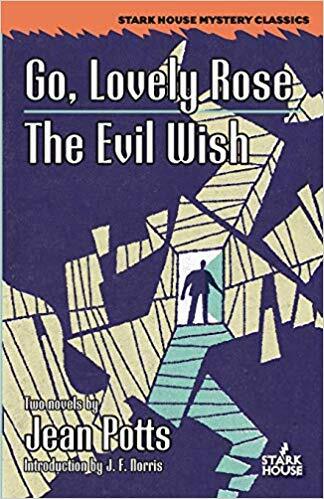 In her New York Times Obituary, Edward D. Hoch (former president of the Mystery Writers of America) notes that perhaps her "strongest suit" was her characterizations, and I have to say that this is what I discovered in these books. What hit me right away and continued to stay with me is how very flawed her characters are, and how they remain in many cases so locked inside of their own heads that for some of them, there is little chance of escape. After finishing this two-in-one volume, I then turned to the introduction written by J.F. Norris where he says it so much more eloquently, noting that in Potts' stories, "Thoughts imprison her characters," to which I said out loud, "Yes, that's it. Spot on." As someone who normally reads less for plot than for what an author has to say about the human psyche and human nature in general, I always have an inner eye open to how (or if) an author incorporates an exploration into (quoting Norris again), the "dark recesses of human imagination and its powerful hold." 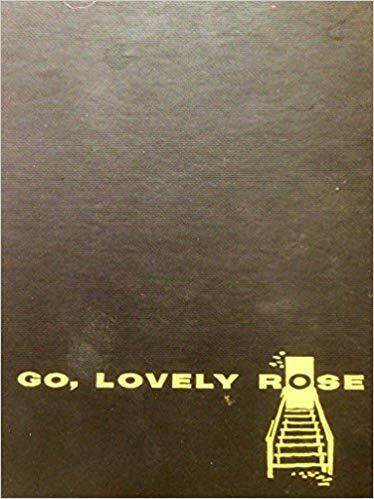 Potts is deadly serious in this arena, and it begins to show not even five minutes into her first novel, Go Lovely Rose. Neither of these books are in any shape or form what I'd call traditional whodunit or mystery stories -- in both, I think it is safe and accurate to say that Potts' genius as a writer is revealed via the slow unfolding of these dark edges that reside within the minds of her characters. Along with a very keen, often delectable sense of irony in her writing, it's certainly enough to make me want to read more of her work. Because I can't even begin to convey the psychological depths at work in either of these stories, I'll just offer a bit of basic appetite-whetting plot here with no spoilers. "Fifty-six years of age ... For nineteen years housekeeper in the home of the late Dr. G.F. Buckmaster..."
who had fallen down the steps to the basement of the Buckmaster home in Coreyville and had broken her neck. Rachel Buckmaster, who had left the family home for Chicago, returns home to sell the house so that her younger brother Hartley (19) can pay for college with his share; she's also disturbed after speaking to her brother and to a neighbor who tells her that Mrs. Henshaw's death was an accident, but that "people were talking." There aren't many people in Coreyville who would actually mourn the loss of the Buckmaster's long-term housekeeper; she was an "evil" woman, even according to her ex-husband, and Rachel realizes that Hartley is "free now, with Mrs. Henshaw dead." Things may have worked out just fine for all had it not been for the appearance of Mrs. Henshaw's sister Mrs. Pierce, who insists that Rose was murdered and raises such a stink that Hartley is arrested. Rachel and the local physician Dr. Craig, along with Hartley's girlfriend Bix Bovard and her father, newspaper editor Hugh Bovard, join together to prove Hartley is innocent, which isn't going to be easy for several reasons. Trust me, this is not just another murder mystery. Moving from small midwest townville to New York City for The Evil Wish (1963), Potts brings us the story of two sisters who since childhood have grown up eavesdropping on their domineering father from the basement, and continuing the tradition into adulthood, one day discover that their dad has plans that would basically disinherit them in favor of his current girlfriend. If Lucy and Marcia Knapp don't like it, he says, they can lump it. The thought of losing their home is devastating, and Lucy can't stand the idea of being "abandoned" by her sister. Even worse, they discover that they "don't matter to him" and that "he simply doesn't care." They are savvy enough, however, to know that they have to keep the lid on the fact that they know what's about to happen; they are also irate enough to decide to kill him. 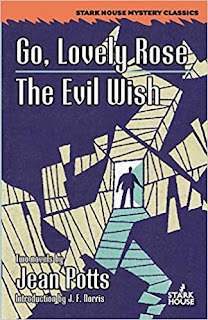 Fate steps in however, when a car crash does the job, and while their problem has seemingly disappeared, they are left with the "evil wish" of his death, which as the epigraph by Hesiod reveals, is "most evil to the wisher." As the blurb for this book asks, "what are they to do with their murder scheme and the residual guilt...," but really, reading this book as a story about a case of guilty consciences doesn't at all do it justice, because it's much, much more. To her credit, Potts provides a hell of an answer to the question with ratcheting tension doled out in increments along the way toward some pretty horrific consequences. 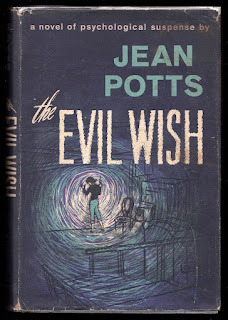 It is a true pity (she says once more in a familiar lament) that the work of Jean Potts is not more well known. She would be very much enjoyed by readers who enjoy the work of her contemporary Margaret Millar, who also wrote some psychologically-oriented novels, so hopefully the word will get out. She may never become a household name, but she is definitely a writer whose work deserves the attention of not only serious aficionados of crime fiction of yesteryear, but also of readers like myself on the lookout for relatively unknown women writers of the genre. My thanks to J.F. Norris for his insight into this writer in his introduction, and especially to the lovely people at Stark House for sending me a copy of this book. I'm just blown away.